Communication is a systematic and continuous process of telling, listening and understanding the official information. The process of exchanging the information, ideas and opinions either by speaking or writing or using the symbols between individuals and departments inside or outside the organization is called communication. Communication is the chain of understanding which binds all the persons and departments of an organization together and directs them to achieve the organizational goal. It helps the management for formulating organizational objectives, plans, policies, and programs. It helps the executives for settling conflicts and misunderstanding between people and departments. It helps the management for the successful implementation of the plans, policies, and programs. It helps the executives for making sound decisions. It helps the management for evaluating the performance of executives and assistant. It helps the management for the directing, coordinating and controlling the activities of people and departments of the organization. Downward communication: The process of transmitting the official information by superior to subordinates is called downward communication. Orders, instructions, and directions are given by the superiors to the subordinates and departments. Since the information flows from the top level to middle and lower level of the organization, it is termed as downward communication. Upward communication: The process of transmitting the official information by subordinates to superiors is called upward communication. Performance, progress, achievements, problems, and suggestions are reported by the lower and middle level to the top level of the organization. The information flows from the lower and middle level to top level of the organization; it is termed as upward communication. Lateral communication: The process of transmitting the official information among the departments and executives of the same level is called lateral or horizontal communication. The sectional or departmental heads exchange their views for solving serious problems of the organization affecting the workings of all these sections or departments. The information flows between or among the departments or executives of the same level of the organization, it is termed as lateral communication. National communication: The process of transmitting the official information between two offices or organizations within the country is called national communication. It flows from one organization to another organization and hence it is called inter- office or inter-organization communication. It also includes the act of exchanging information between central level offices (ministries, departments, and constitutional bodies) and operating level offices (regional offices, district offices, and projects) of the government. International communication: The process of transmitting the official information between offices or organization of different countries is called international communication. It flows from one organization to another organization outside the country. It is also called inter- country communication. The international communication is contributing a lot in foreign trade, foreign relation, foreign employment, abroad study and remittance of money. It is also used to control international crime and terrorism. 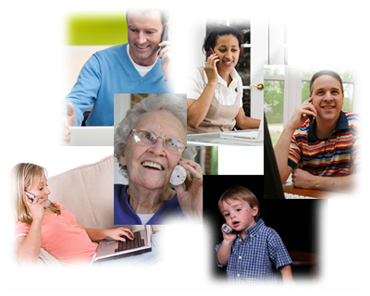 Telephone: Telephone is the popular and quickest means of oral communication. It is a modern technology of exchanging information between two persons or offices of the satellite transmission system, the message can be sent through the telephone in any part of the globe without any wire communications system. Nepal Telecom Company Ltd. is the full government- owned company established in Nepal, in 1970 B.S. for distributing telephone lines. It has also been distributing mobile phones to its customers. The government has opened the door for a private sector to distribute telephone lines and mobile phones. The telephone is an important means of communication for all business, government offices, social institutions and individuals. Radio and Television: Radio and television are the mass means of communication. Radio Nepal and Nepal television are the government-owned enterprises which are established in Nepal in 2007 and 2042 B.S. respectively to provide mass communication service in the country. FM radio and television stations are being established and operated in the private sector as well. They are the quickest means in relaying the messages in wider geographical areas of the country. These are equally suitable for making advertisement of different products which helps to increase sales volume. Fax: It is an electronic system of telecommunication which uses the telephone line to send messages from one place to send the message from one place to another place. It is one of the popular means of the communication device by which text and graphics from source can be transmitted and received in the same format. It is quite suitable means of communication for sending lengthy messages to a distant place comparatively at a lower cost. Electronic mail (e- mail): An e- mail is generally a text message sent through the computer. It is done with the help of telephone and an internet service provider. But there are companies like hotmail.com, yahoo.com, gmail.com and rediffmail.com that provide free mail- box to its clients. E- Mail is the cheapest and the fastest means of communication. But it cannot always be called the safest. Your email can be stolen or deleted by the person you never know. here is the example of an email id info@kullabs.com, this is the email address created by kullabs smart school. Hence, we can send a message to kullabs smart school using this email address. Internet: Internet has become a global market. Many people have transactions of millions of dollars everyday. E- Commerce is only possible through the internet. So, this is a better means of communication of this modern age. Internet is the latest advanced technological in the field of communication. It helps to promote trade and industry. The big world is shrinking to a small house due to the internet. It facilitates in the field of banking, insurance, education, health, health, foreign trade, and defense. It has changed the life style of the people and opened the door for an additional employment opportunity. Telegram: Telegram is a wireless system of communication. It is the act of transmitting the message to a distant place without wire connection system. It is quite suitable for the relaying, urgent and short message. The cost of the telegram depends upon the length of the message and its urgency. The device used to send the message is called telegraph. The message sent through telegraph inside the country is called telegram and outside the country is called cablegram. Letter: A letter is a written message on certain subject or problem. It is exchanged between individual and office with some definite objectives. It is a formal means of transmitting official information, order, instruction, direction and guidelines from one department to another department and one office to another office. Letter writing is the most importance function of administrative activities are carried out perfectly and effectively. The way of exchanging information by using different symbols is called symbolic communication. These symbols carry definite meaning and meaning of such symbols is quite familiar to all. The red, yellow and green traffic light of cross- roads, period bell used by educational institutions, call bell used by executives of an office, the facial expression of fear, anger, emotion, sorry , surprises reflected by human being, gestures, signs, and symbols are some of the examples of symbolic communication. Communication is a systematic and continuous process of telling, listening and understanding the official information. There is internal and external communication. The act of exchanging information between the people and departments inside the organization is called internal communication. Internal communication can be divided into downward, upward and lateral communication. The act of exchanging information between individuals and offices outside the information between two offices or organizations is called external communication. Oral communication, written communication and symbolic communication are three types of external communication. Write short note on International communication. The process of transmitting the official information between offices or organization of different countries is called international communication. It flows from one organization to another organization outside the country. It is also called inter- country communication. The international communication is contributing a lot in foreign trade, foreign relation, foreign employment, abroad study and remittance of money. It is also used to control international crime and terrorism. Write the short note about Internet. Internet has become a global market. Many people have transactions of millions of dollars everyday. E- Commerce is only possible through internet. So, this is a better means of communication of this modern age. Internet is the latest advanced technological in the field of communication. It helps to promote trade and industry. The big world is shrinking to a small house due to the internet. It facilitates in the filed of banking, insurance, education, health, health, foreign trade and defense. It has changed the life style of the people and opened the door for additional employment opportunity. Today, the Internet is a public, cooperative and self-sustaining facility accessible to hundreds of millions of people worldwide. Physically, the Internet uses a portion of the total resources of the currently existing public telecommunication networks. The process of exchanging the information, ideas and opinions either by speaking or writing or using the symbols between individuals and departments inside or outside the organization is called ______. The process of transmitting the official information by superior to subordinates is called ______. The method of exchanging information verbally is called ______. The way of exchanging information by using different symbols is ______. The method of exchanging information by writing is called ______. Radio Nepal was established in Nepal in ______. ______ is an electronic system of telecommunication which uses telephone line to send messages from one place to send message from one place to another place. Any Questions on 'Communication '?